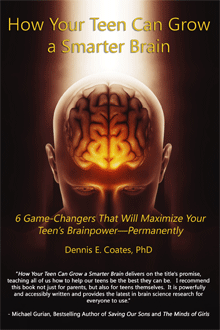 New book will help your teen grow a smarter brain. Avoid the perils of adolescence? Be prepared for the challenges of life after high school? Grow the brainpower to succeed in a demanding career? Questions like these can keep you awake at night. YOU CAN TAKE LUCK OUT OF THE EQUATION. Learn how your teen can develop vital thinking skills. How to stimulate, encourage, support and protect. Includes special chapters written for your teen. The building of new thinking skills can begin right now.